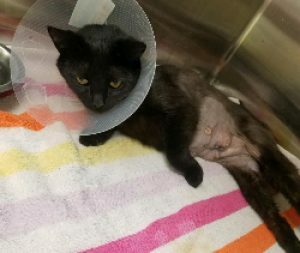 OSWEGO – The mother cat that was surrendered earlier this week along with her three newborn kittens is doing well at Fulton Animal Hospital. 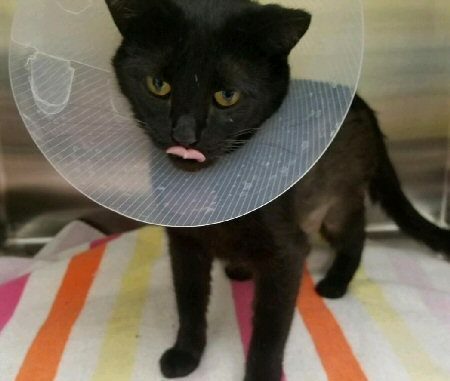 Mother cat doing well after surgery. The mother cat is eating on her own and resting following her surgery this week. She has fleas and ear mites and has been given Advantage flea treatment, Profender dewormer and medication for ear mites, according to the OCHS. She has some hair loss due to fleas and stress of the pregnancy, but it looks to be growing back already. According to the OCHS, she may need one more week in the hospital and then will be coming to the humane society to live with a foster until she is adopted. OCT has reached out to the humane society for an update on the kittens’ progress; they have not yet replied.